October 1, 2018 March 22, 2015 by Ada W.
Disclaimer: This article assumes that you’re already in Japan with SOFA and Multiple Entry and Exit Stamps on your passport. My first English teaching job at an Eikaiwa! “Ada, how did you manage to get a teaching job here?”, asked by a fellow military spouse who’s also stationed in Japan. This was the question I had in my mind when I just arrived in Japan. I have been told to go to our base’s FFSC. But that’s just not going to work for me! We live off base and I don’t drive. The commute from our house to the base takes almost an hour. Plus, I was looking for something that has a fixed schedule. I also wanted to experience teaching at a real school. Attend workshops or seminar in English teaching. Bachelor’s Degree or College Degree. No worries because some small, private, or startup schools don’t necessarily require a college degree. These startup schools are usually Eikaiwa Schools (English Conversation Schools) or English teaching schools in an informal setting. They don’t really pay attention to applicants with a Bachelor’s Degree. The minimum requirement to get hired is at least a high school graduate or equivalent, or as long as you have the passion for teaching and a great personality. http://tokyo.craigslist.jp/search/edu?sort=rel <– this is where I got my first English teaching job! Prestigious English education consultation companies such as GABA or Interac could be found on a more serious website such as Gaijinpot. GABA and Interac always hire teachers ranging from ALTs (assistant language teachers), preschool teachers, to one-on-one tutors. But instead of applying through Gaijinpot, why not directly apply to the company’s website? It’s more efficient! Try browsing Gaijinpot’s list of companies and from there, go directly to the company’s website and apply. This is actually preferred as you get to know the company better while you browse their website. Be ready though as these companies can be very selective about their applicants and sometimes, discrimination will enter the scene. They are firm on their policy that they would only hire “true” native speakers of English. Such companies can be really challenging, especially if you’re not a real native speaker. Be confident enough and don’t let them downplay your skills. Remember, not all native speakers of English know how to teach! Show them what you’ve got. To make you feel more confident about your applications, there are several options such as having TEFL, TESOL, and CELTA Certifications. By getting certified, your opportunities for teaching the English language increases. These are not really required, but it will give you an advantage and equip you. As a matter of fact, most companies prefer a teacher who has one of these certifications. Though it will not guarantee you a job, this will help in improving your credentials and prepare you for teaching the language more effectively. I, myself, took the 120-Hour TESOL Certification and it was a great decision because it has really helped me to land a teaching job. 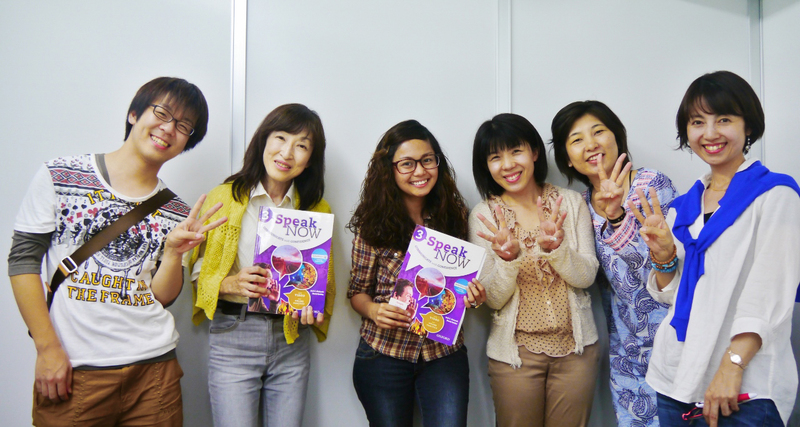 However, here in Japan, most companies are more familiar with TEFL Certification and it is much preferred. So, I recommend getting the TEFL rather than the TESOL if teaching in Japan. You can search the web and look for internationally accredited organization that offer TEFL certification online. So far, I’ve seen people impressed by the Premier TEFL (nope I’m not endorsing them nor took theirs, it’s just that I’ve seen good reviews about them from real people). Google them to find out. Try looking up the 120-hour course as it is the standard and preferred by most companies. If you find their courses too expensive, do some research and look for other affordable but internationally recognized online certification. With or without Bachelor’s Degree, you can get a TELF Certification anytime. If you’re not into online courses, an alternative is by enrolling in the TESOL Certificate Program conducted by David Paul. They have a certificate program in Tokyo, Nagoya, and Kyoto. For Filipinos, there’s a COFFET Group (Community of Friendly Filipino English Teachers) that also conducts a TESOL Certificate Program in Tokyo, Nagano, Ibaraki, and other parts of Japan. This is where I took the certification, although I found it more expensive compared to online courses, it was a great opportunity as I met like-minded folks. Author’s Note: If you’re an undergraduate and not yet in Japan but very interested in teaching English, you might want to consider the JET Programme. As I have mentioned above, TEFL is not really a requirement to apply for an English teaching job. As long as you have a very good grasp of the language, and an awesome personality. These companies love to hire people who have a fun personality since you will be interacting with a lot of people when teaching, you stand to have a great chance. TEFL is not very costly and once you get your first hard earned salary from teaching, it would compensate immediately! You can think of it as an early investment but if you’re still saving up money for it, you can still try your luck. Although some companies prefer at least basic Nihongo skills, especially if the students are just starting to learn English, no worries because Japanese skills are not really required to get an English teaching job. Research the nature of the teaching position you’re getting into. Be familiar with words eikaiwa, ALT, TOEIC, IELTS, JTE etc. Do your research. Polish your resume. Update it. Only put the relevant work history. If you have prior experience in volunteering or teaching English, include that in your resume. Read business etiquette in Japan. Bowing versus shaking hands, etc. You name it. Do your research. Learn how to say Yoroshiku Onegaishimasu. Polish your appearance during the interview. Did you know that in Japan, appearance is very important? Whether you like it or not, you need to invest in a good set of business attire. You can find affordable business clothes in set in UNIQLO or AEON malls. Answer phone calls. Most likely it will be the company. If by any chance you missed it, call them back letting them know that you are now available to talk. The advantage of attending these kinds of workshops is that you will meet fellow English teachers and other aspiring teachers. You can exchange information and ideas with them and I’m sure they can answer all the questions in your mind that you cannot find elsewhere in this article or in the internet. If you have any questions, please feel free to use the comment section below.